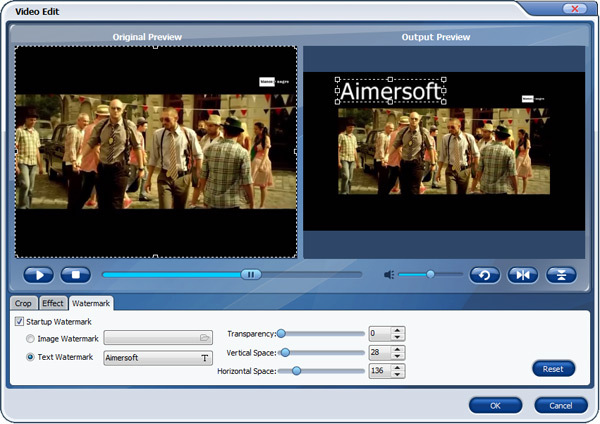 After you install Aimersoft DVD Ripper, just follow the tutorial below to rip DVD and edit the ripped videos on PC. If you are a Mac user, please go to Mac version tutorial. Simply follow the two steps below to convert home DVD to any regular video/audio formats that are compatible with tons of popular devices, including iPad, iPhone, iPod, PSP, Zune, Apple TV, PS3, Xbox 360 and many more. Insert your DVD disc into your computer's DVD-Rom, start up DVD Ripper and click the Load DVD button to begin uploading files. You can also import ISO files, IFO files or DVD folder for conversion. If you want to convert all the DVD titles into one large file, tick Merge into One File to combine the added files. Click Profile (located below where your DVD's files are displayed) and select the format you want from the drop-down list. Just below Profile is Output, here you can browse your computer for a better destination folder for DVD Ripper to save your converted movies. As you see, all regular video and audio formats like MP4, MOV, MKV, WMV, AVI, FLV, MP3, WMA, WAV, M4A, etc. are provided. 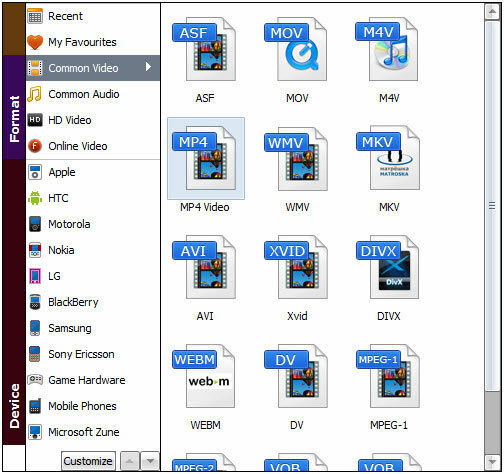 If you want to convert your DVD movies for play on portable devices, including iPhone, iPad, iPod, HTC, Samsung, Nokia, Samsung, Sony, PSP, Xbox 360 and more, you can simply browse to find the icon of your device and select it as the output format to get videos with optimized settings. 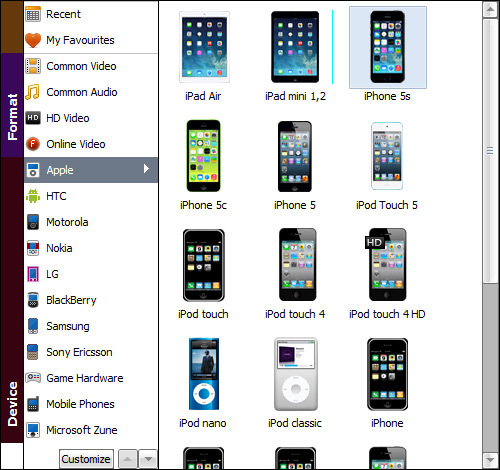 All Idevices output files can be synced to iTunes automatically. Click the Find Info button on top of the main window, there will pop up a windows that allows you to search the DVD movie metadata. 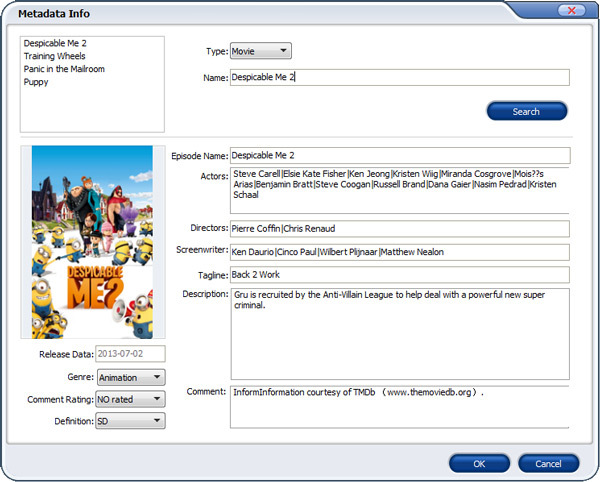 All you need to do is enter the movie name and click the search button to begin metadata searching. All movie information courtesy of TMDb (www.themoviedb.org). After your DVD files have finished loading, you can use this DVD Ripper to edit, combine and crop your DVD movie. You can access all available editing functions by either clicking Edit or Trim in the menu bar. From the Clip workspace, you can create a custom clip from a larger scene. To adjust the duration of your clip, move the sliders below the screen to the start and end points you want. Here you can drag and move the rectangle on the video to set the crop area or enter the accurate crop values on Left and Top. Meanwhile, you can zoom in or out, change the aspect ratio and rotate videos. In this way, you can remove the black bars of your DVD movies. Click the Effect tab and you'll be able to adjust video brightness, contrast and saturation, apply grey, negative, emboss or old film effects and apply a number of deinterlacing options. Under Watermark tab, you can import an image watermark or create a text watermark to personalize your video. For a text watermark, select the text watermark circle below the preview screen and type whatever text you want in the blank input field next to it. To change font, simply click the "T" icon to the right of the text input field. You can also adjust the transparency, vertical and horizontal position of your watermark. Now that you know how it all works, you can start doing more with your favorite movies! Create clips of your favorite scenes and merge them together to make a highlight reel. Edit scenes and upload them to sites like YouTube. No matter what fun stuff you choose to create, now that you've liberated your DVD movies!